File Server Enablement allows you to map a folder structure on a file server to a Team Share or a user account in the cloud. In addition to local paths, you can specify a network share, a UNC path, or a NAS device as a source for File Server Enablement. 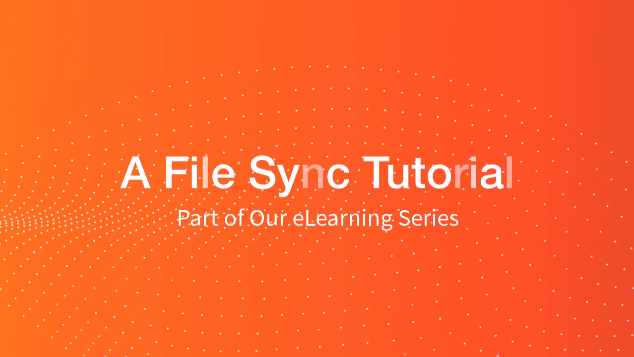 This feature replaces the need for mapped drives (network drives), so that end users no longer need to be on-site or require the use of a VPN connection to access files and folders. When File Server Enablement is enabled for an organization, end users can access, read, and update content through the web or through their preferred device. By providing anytime, anywhere access to business assets, File Server Enablement can increase employee and organizational productivity. Log in to the server that you want to cloud-enable, and download and install the desktop client. For instructions on downloading and installing the desktop client, please reference the End User Guide. When the desktop client finishes the installation process, you will be asked to register the desktop client to a user account. As a best practice, we recommend creating a service account when registering a server, as described above. Open a web browser and navigate to the administrative web portal. Log in to the administrative web portal. Note: When selecting a parent folder, the mapping will include all of the parent's subfolders. Alternatively, to use a UNC path as a source for File Server Enablement, click to expand and highlight a machine name, and then click the Map Network Drive button. 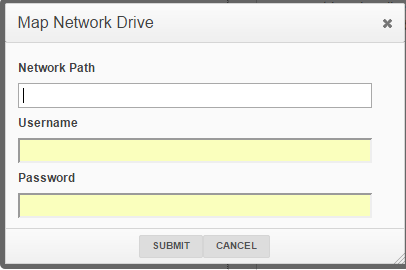 In the Map Network Drive pop-up window, enter information about the network drive. After you select the items you want to map, use the Map Folders Below section of the screen to map the selected folder to a user or Team Share. Click the Submit button when you are finished. 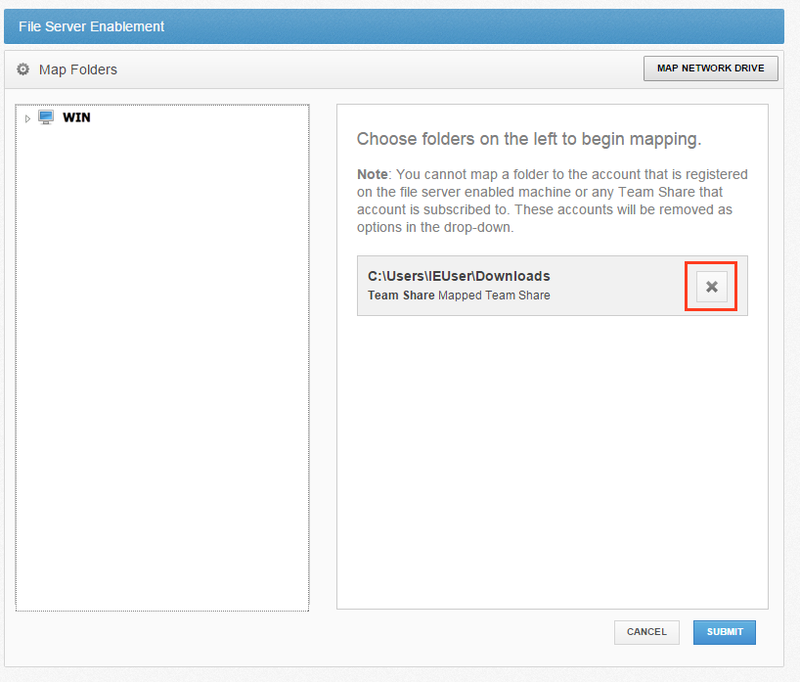 All files and folders on the file server will be synced to the mapped user account or Team Share. Any changes to these files or folders will show up in both locations. 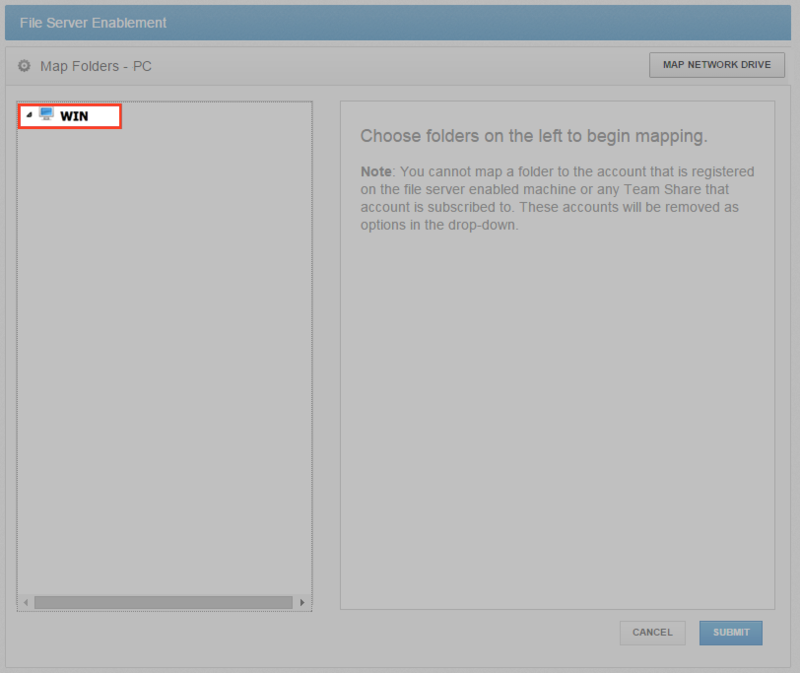 You can also disable mapping between the file server and the Team Share or user account. When you do this, the already-mapped files and folders will remain in both locations, but will no longer remain linked. 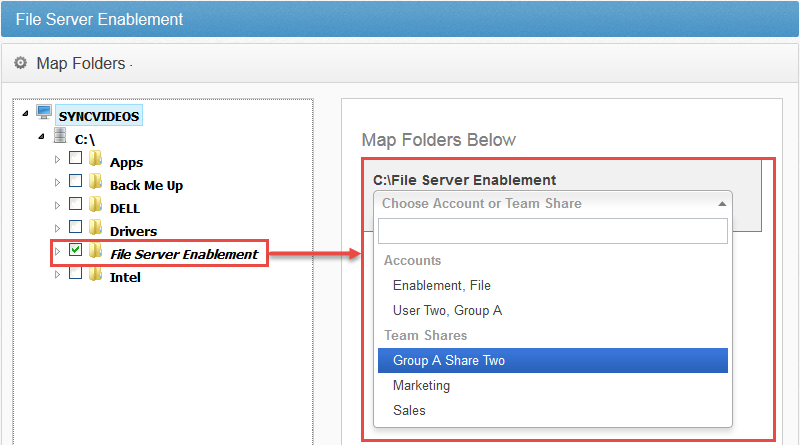 You might decide to disable mapping if you simply want to migrate or copy data to a Team Share or a user account. 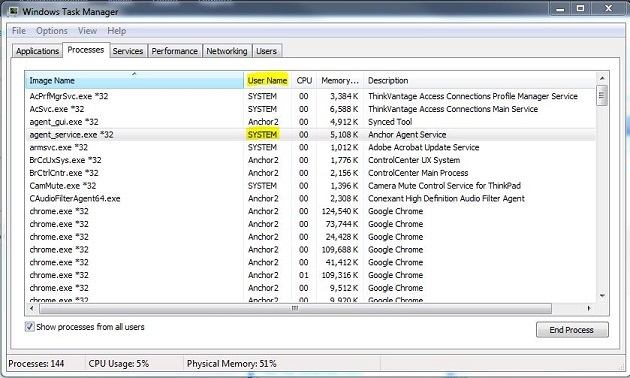 In the Machines tab, find the already-mapped File Server Enablement machine and click the Map Filers link. Click the Delete button to remove the mapping. The files will remain in both locations, but will no longer be linked.